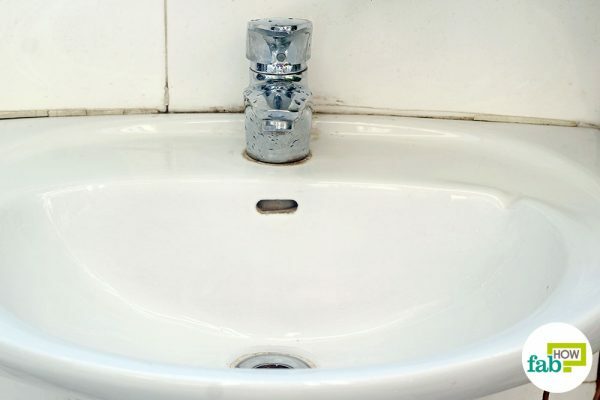 A clogged drain in your home is an inevitable nightmare, as the continuous build up of food particles, grease, foreign objects, hair and even soap residue will eventually cause a partial or complete blockage in your drains at some point. 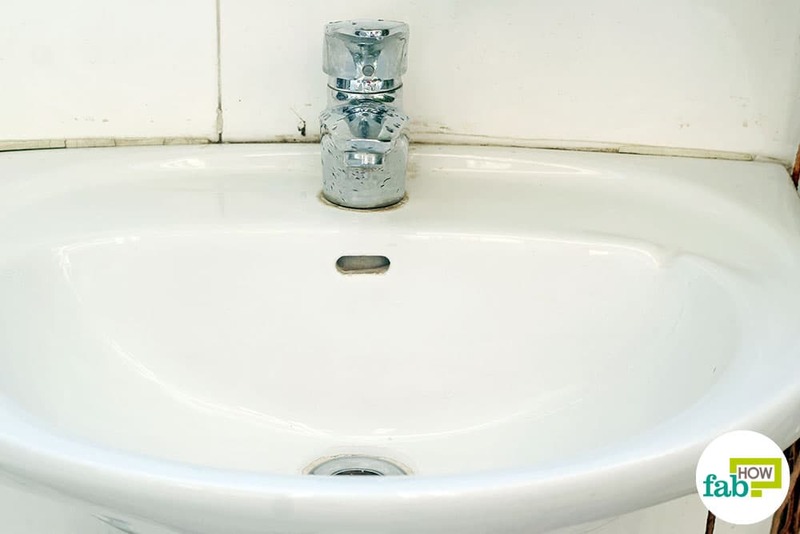 A blocked drain can literally make your life hellish, as you find yourself unable to wash your dishes or hands and face without dirty water collecting in your sink. Failing to unclog a drain in your kitchen not only makes it difficult to properly clean the ingredients for your meal, but the built up organic matter soon begins to give off a rotten stench as well. 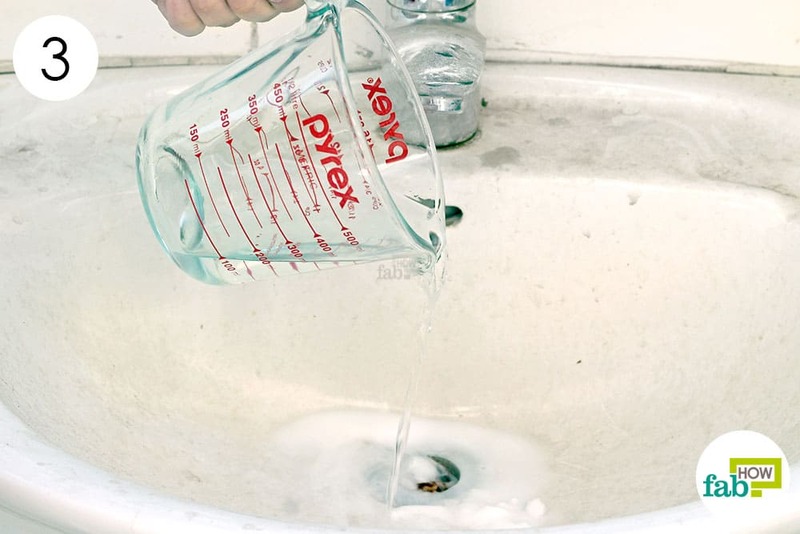 If you are tired of the stubborn, recurring clogs in your kitchen sink, bathtub, toilet or bathroom floor drain, then you no longer need to worry as we have you covered. 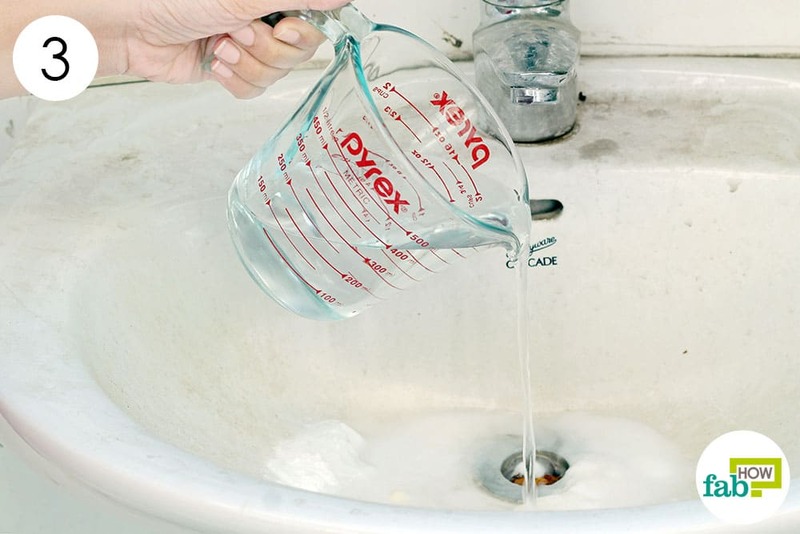 Follow these two incredibly simple and swift remedies to unclog a drain in a jiffy. You can also use these methods to prevent clogged drains in the future. 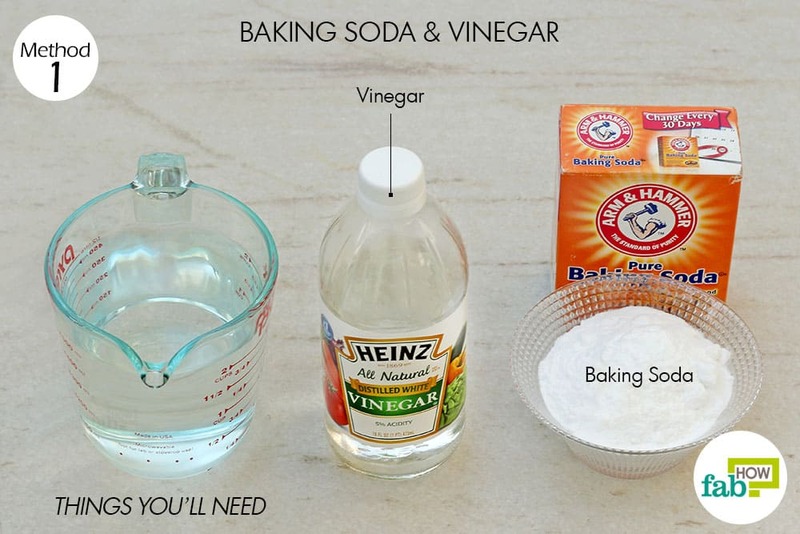 Using baking soda and vinegar to clear your drain not only eliminates the need to use harmful chemicals, it is also a much safer option for both you and the environment. This natural, homemade drain cleaning method combines the cleansing properties of baking soda with the acidic properties of vinegar to cut through the deposits of organic material blocking your drain. 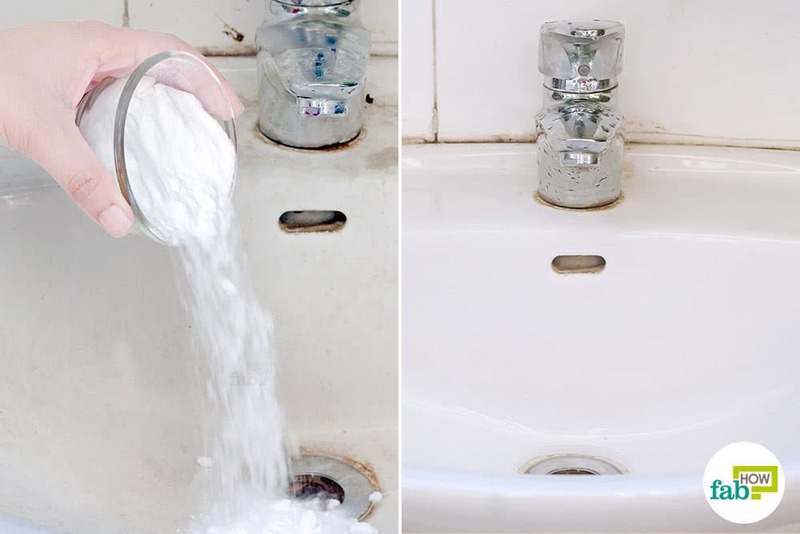 Pouring piping hot water down the drain further helps dislodge the accumulated particles and unclog a drain. Make sure that the sink is completely dry. 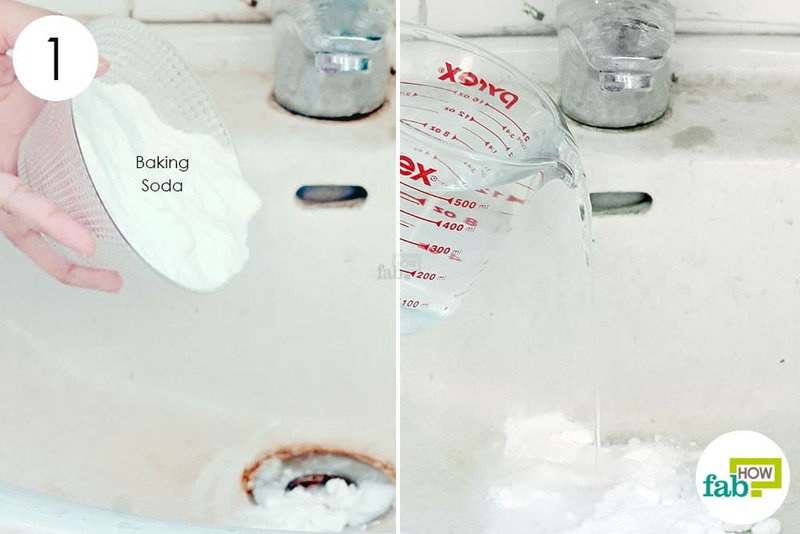 Pour ½ cup of baking soda down the drain. 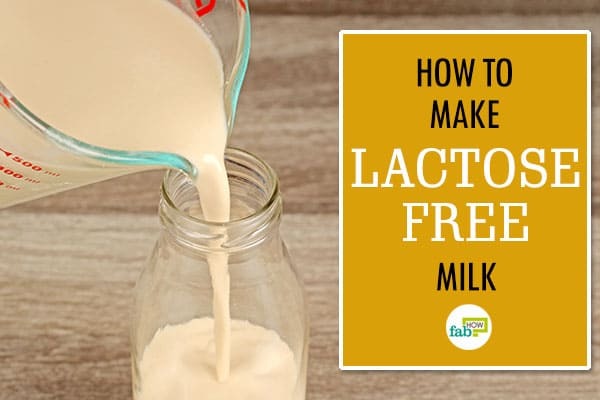 Follow it with 1 cup of boiling hot water. Wait about 5 minutes after pouring the boiling hot water into the drain. Pour another ½ cup of baking soda into the drain. This time follow it with ½ cup of vinegar. You will hear a sizzling sound coming from the drain pipe and see bubbles foaming up as the baking soda reacts with the vinegar and rises. For the last and final step, pour the remaining 1 cup of hot water down the drain. If the problem persists, you can repeat the above steps once more to completely unclog your drain. To prevent any future blockage, you can pour 1 cup of baking soda down your drain, followed by 2 cups of boiling hot water, once a month. You can also use hydrogen peroxide and salt with baking soda and vinegar for more intensive cleaning. 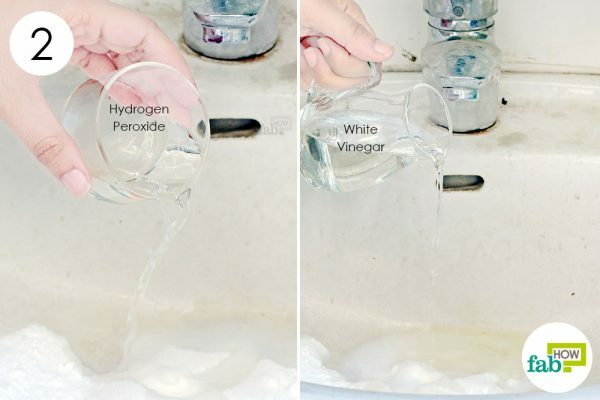 Adding salt and hydrogen peroxide enables greater dissolution of the sludge deposits blocking your drain. Make sure that the sink does not contain any water and is completely dry. 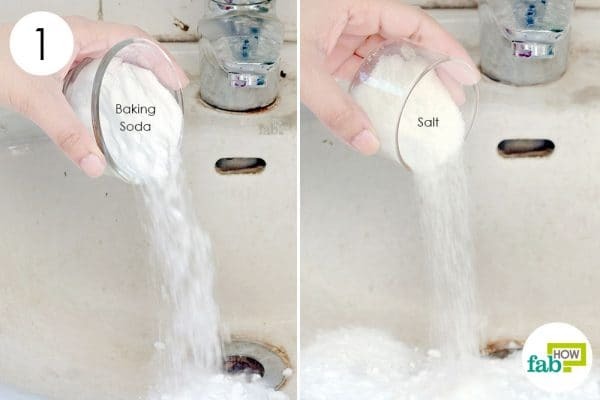 Pour ¾ cup of baking soda into the drain. Pour ¼ cup of salt down the drain as well. Pour ¼ cup of hydrogen peroxide down the drain. 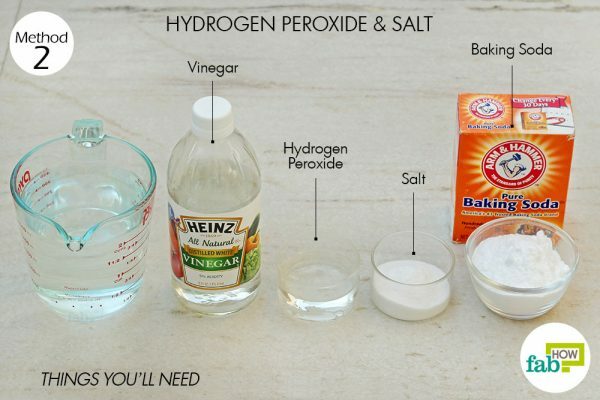 Follow it with ½ cup of vinegar. 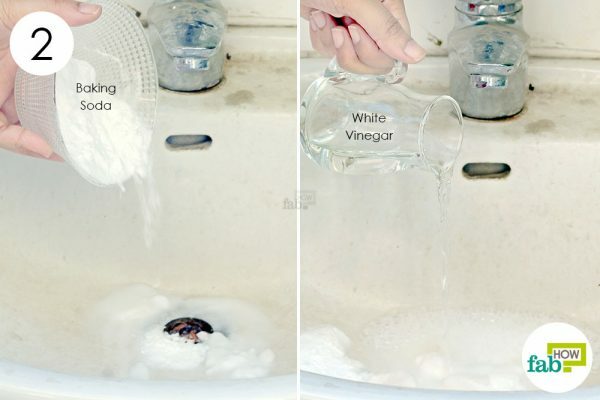 Wait 15 to 20 minutes to let these caustic ingredients do their work to unclog a drain. In the meantime, set a pot of water on the stove and bring it to a boil. After the waiting time is over, pour the boiling water down the drain. Do not rush and empty the pot in one go, as it may lead to injury if it causes any back flow or eruption of material from the drain. If the drain is still clogged, you can use a plunger to help clear out the blockage. You can use any of the above methods to unclog your bathtub drain as well. You can also use a clean toilet plunger to unclog a drain. Be sure that your plunger contains water, then place it on the drain, covering it completely. Press and pull the plunger for about 30 to 40 seconds to unclog your drain. Repeat as needed. A drain snake is a long and very flexible metal cable that can be inserted into the drain to cut through or pull out the material blocking the pipes. Although it may sound pretty repulsive, it is a highly effective way to physically unclog your drains. Make sure you wear protective rubber gloves and have a towel covering your upper body while attempting to unclog your drains with either a plunger or a drain snake.